Don did a fantastic job on my wife’s car! It had a few other problems & he ended up taking care of those to at no additional labor! Car runs & drives incredibly! Wonderful experience. Great customer service, follow-up and much lower price than the big chains. Fair, fast, trustworthy! I originally went in for a timing belt replacement. They completed that repair, plus brakes (front and rear), replacing all belts, replacing water pump, replacing engine mount, and plugged a tire for what other shops quoted for only the timing belt replacement. I was able to get in for the repair sooner than expected. They retained all the replaced parts to show me the necessity of all the repairs. As a woman, I really appreciate feeling like they did not take advantage of me! I will definitely go back for all my auto repairs! This place is AWESOME!! I can’t speak enough about this company’s integrity and business ethics. I went to get a new battery at the O’Reilly’s! While I was sitting in my idling car, what I thought was smoke, started billowing out of my engine. I walked over to the service station directly behind O’Reilly’s (Town Center Service Station) and asked the guy if he could take a look. Don introduced himself as the owner, and said he would take a quick look at my minivan. After diagnosing the problem, he said it wasn’t smoke, but it was freon! He quickly put my minivan on a lift and fixed the problem. He tested my battery and said it was totally fine and that the problem he fixed will also fix the problem I had with the car needing ‘jumped’ every morning. He could’ve charged me whatever, but he insisted on a handshake. Everyone always says that finding a good mechanic is always tough to find….you can thank me now. Trustworthy, kind, genuine, good people over there. It makes me feel good to know there are still good (not corporate) mechanics out there, that are working on commission!! Thanks Don, I’ll see you on my next repair! A fantastic place to take your vehicle without getting ripped off! This place was recommended by a friend after I’ve already had taken my wife’s car to 2 different shops. Turned out it was the car’s computer system! They diagnosed then fixed the car & no problems since! Great Job! Very Friendly! to take your vehicle without getting ripped off! This place was recommended by a friend after I’ve already had taken my wife’s car to 2 different shops. Turned out it was the car’s computer system! They diagnosed then fixed the car & no problems since! Great Job! Very Friendly! Here at Town Center Auto, we know everything there is to know about your cars charging system! 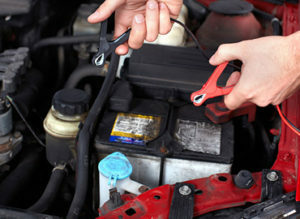 By making sure your car is charging properly can mean the difference in whether your stranded! Don’t let something as simple as your car’s charging system strand you! 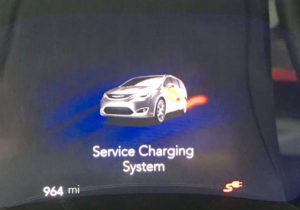 What does it mean when the Charging System light comes on in the dash? Your dash is information central – gauges and warning lights provide you with a great deal of important information. If your Charging System light comes on (it looks like a little battery), it means there’s something wrong. It should come on and then go off immediately after cranking the engine. Turn off all of your accessories (radio, air conditioner, etc.). Do not use any electrical components (power windows). Do not turn off the engine. Have your charging system tested immediately (this should test both the battery and the alternator, as both can cause this problem). Be careful how far you drive if the Charging System light is on. If the battery is dead, the alternator should supply enough power for the engine, but if the alternator has failed, you can only drive as long as the charge in the battery lasts. Any one of these symptoms can be a sign of a weak charging system. Your charging system is responsible for restoring the charge to your car battery after use and is tasked with providing power to your lights, audio system, and other electronics while your vehicle is running. Without your charging system in proper working order, you’ll eventually find yourself stranded…without lights…and without good tunes.